This isn’t another blog about whether the news release (or press release, if you prefer) is dead, or dying, or should die. We’ve all read opinions on that topic, but with thousands going out each day, it’s clear that companies still think the news release is a viable tool for getting the word out. This is, however, a plea for companies to stop sending out “news” releases: those that don’t announce significant changes or developments and therefore have little to no value to organizations and absolutely no value to journalists or influencers. It’s also a plea to be realistic and purposeful when you do issue a release. But take heart: we’ll also propose another way to target key journalists and influencers to build your presence in print and online. Why reconsider the news release? 1. Generally speaking, news releases don’t optimize search for your company, Google says. A few years ago, news releases counted significantly for SEO, and that lead to widespread misuse of them to promulgate keywords and backlinks instead of real news. 2. 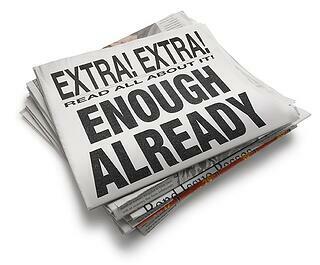 There are fewer journalists around to cover the news, so what you send out needs to be worth their time. PR professionals now outnumber journalists almost 5 to 1, according to U.S. Department of Labor statistics from 2013. With PR jobs growing by some 6 percent a year and newsroom employment declining almost 10 percent from 2013 to 2014, that ratio certainly hasn’t improved. Major leadership changes or other noteworthy business activities and developments, such as an acquisition, restructuring, major customer contract or new vendor partner. Major product or service news – particularly something new, unique or an advancement in your industry. Sponsorship or significant participation in a big event. High-level awards, outside appointments, speaking engagements or similar honors given to a company leader. Noteworthy participation in or donations to charitable and community activities. And that’s about it. Otherwise, you want to think twice about your news release. Of course, exceptions based on your size, location and the niche you’re in might make sense. But the first priority of the journalists and influencers you want to reach is their readers. That should be your yardstick, too. Be rigorously honest with yourself about the value of your news to them. 1. Decide what your stake in the ground is going to be. What can your company talk about that no one else in your industry can and that would be of value or interest to others? Taking a hard look at your organization and answering that question will form the foundation of your eventual approach to reporters and influencers. 2. Lay the groundwork for relationships with targeted journalists and influencers. That means regularly reading their work and understanding what they cover and who their audiences are. It also means following them on their websites and social media. One of journalists’ biggest complaints is lack of knowledge about them, and doing your homework makes you a star. 3. Strike up a conversation. When you’re ready to approach someone – these days, that’s typically through email and/or social media – make it conversational. Offer ideas and information. Respond to something they’ve written with a different point of view and the facts to back it up. Being helpful and being provocative will catch their attention. 4. Respond, respond, respond. When you do get your conversation started, don’t disappear. Answer questions promptly. Send materials they’ve requested. Meet deadlines. Treat reporters with respect. This approach takes times and effort, and that’s one of the reasons why targeting is so important. Unless you have a full roster of PR pros available to you, you’ll likely be more successful if you set priorities and focus on the publications, websites and blogs most important to you. News releases are still a good PR tool. They can put you in contact with a reporter and get your latest development on a website. But given our changing world, building relationships with targeted reporters and influencers is more likely to produce results. And remember: the media and influencers are only two of your audiences. A well-developed public relations program takes into account all your stakeholders and uses other types of campaigns and tools to reach them. We’ll talk more about that another day. Want more tips on PR best practices? Read more of our blog posts on public relations here.